An Ambition Trigger is a data-driven push notification, commonly used to recognize a person/group for reaching a metric threshold. Through the Slack integration you can now send these notifications to a specific Slack channel (alongside the Ambition TV). 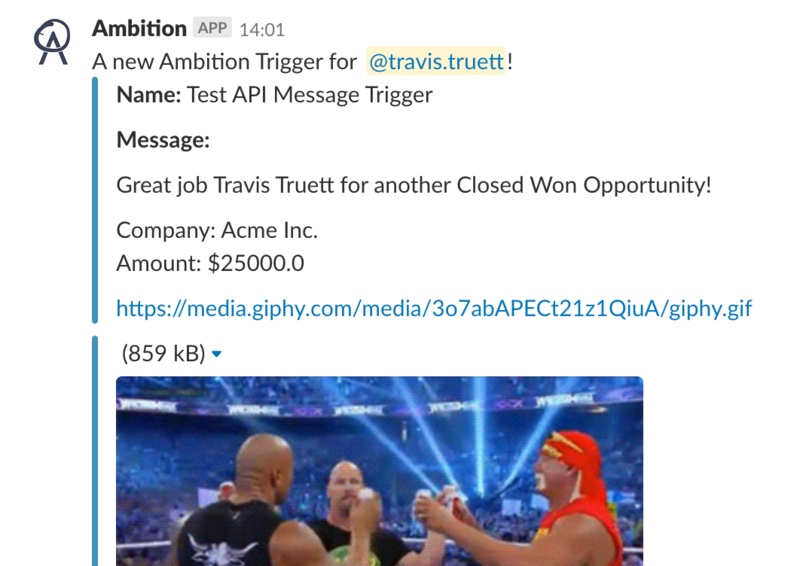 If an employee's Ambition email matches their Slack email we will @tag the user within the Slack notification, otherwise we will display their name.